Renting a roll off is not something anyone looks forward to, but the company behind the roll off is a crucial factor in decision making. We have built a reputation for responsiveness, on-time delivery, pickup, and personal service that begins with the first phone call. 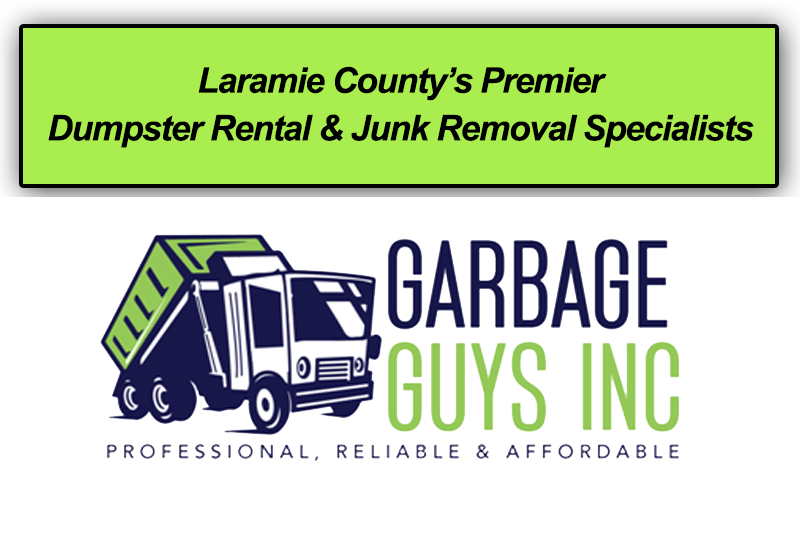 The Garbage Guys are the leading Laramie County dumpster rental company and our continued success comes from our promises to contractors, home-owners and businesses in Laramie County. If you are seeking a reliable roll off rental company, Garbage Guys will not let you down. Our roll offs are ideal for anyone looking for a good sized container, but may not have a lot of space at their worksite. Renting one of our roll offs are perfect for handling the debris of renovations, garage clean outs, and most commercial projects. Another great aspect about renting our roll offs is they are low profile which makes for easy loading and they provide enough space to handle most any size job. A 20 yard dumpster can hold twenty cubic yards of material. This is roughly equivalent to six pickup truck loads of debris. If you are looking to complete a small to medium sized project but don't have a lot of space, consider a 15 yard dumpster. This relatively small dumpster is ideal for small to medium sized projects, such as remodeling or renovating a single room of your house. If you are in need of a dumpster for an average–sized room remodel or renovation, this dumpster size will suit your needs. How much can a 15 yard dumpster hold? A 15 yard dumpster can hold 15 cubic yards of material. This is roughly equivalent to four and a half pickup truck loads of debris. ©Garbage Guys, Inc. All rights reserved. Website Design by Wyoming Network, Inc.